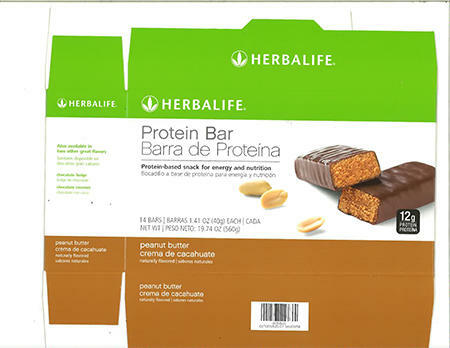 LOS ANGELES, CA – May 1, 2017 – Herbalife (NYSE:HLF), a premier global nutrition company, is voluntarily recalling certain lots of its Protein Bar – Peanut Butter because the product may contain a trace amount of fish gelatin, which was added to the product as part of a flavoring ingredient provided by a third-party supplier. The amount of gelatin in the finished product is extremely low (approximately 0.02%). The gelatin is a highly processed collagen from fish skin, which contains a negligible amount of parvalbumin, a fish allergen. There have been no reports to date of any illnesses or adverse health effects associated with the affected product. Nonetheless, the Company is taking this voluntary action out of an abundance of caution. The U.S. Food and Drug Administration has been notified of this recall. The product was distributed in the U.S. from 6/30/2016 to 4/7/2017, exclusively to individual independent distributors as 14-pack cartons. Lots numbers affected are 066539A11, 066553A11, 066601A11, 066660A11, 066688A11, and 066691A11. Herbalife maintains high quality standards for its products and is dedicated to the health, safety, and satisfaction of its consumers. Independent distributors and their customers that have purchased this product are urged to return the product for exchange or refund. Consumers with questions about this issue may contact Herbalife’s customer service department from 9:00am – 6:00pm Pacific Standard Time, Monday – Friday at 1-866-866-4744.